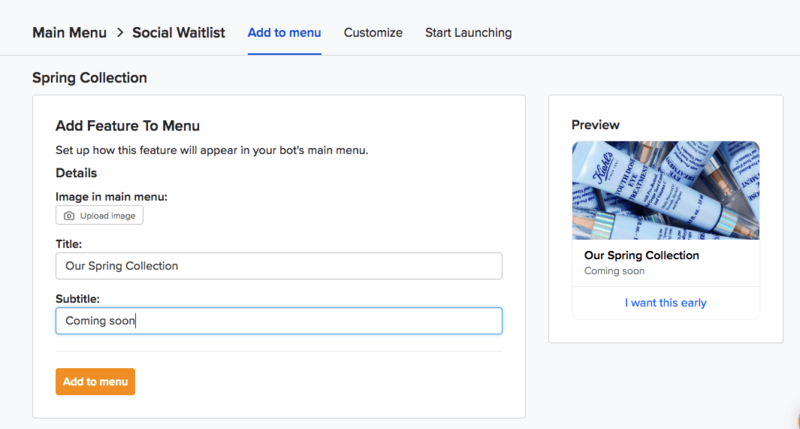 Social Waiting list enables you to easily build a viral waiting list that helps you promote your new products, announcements etc. How do I setup this feature? Add the campaign name, for example: new album, new collection, etc. Step 2: Who is launching this? Are you launching the Campaign for a person, a group, or a brand? If you select "Person" the bot will refer to itself as "I" and "my". If you select "Group" or "Company" the bot will use "we" and "our". Customize the message that will be shown if the person comes to the bot from a referral link. 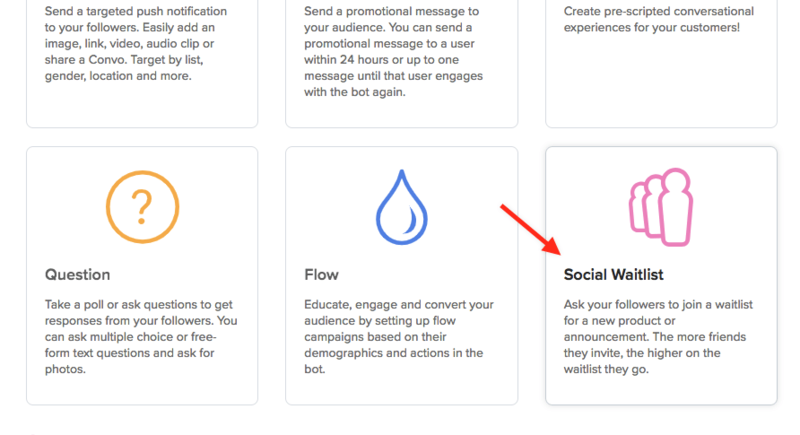 Customize the message that will be shown if the person comes to the bot with an incorrect referral link that we can still identify as being related to this campaign. How can I get a preview of how the menu item will look like, before I add to the menu? 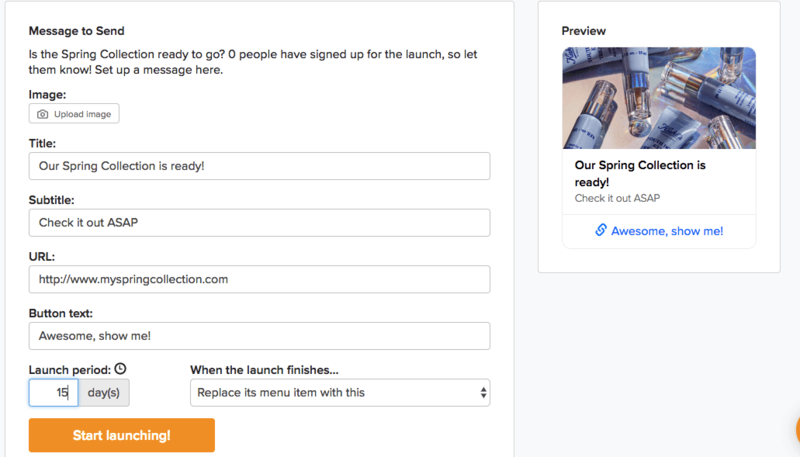 If you want to preview how it will look to your customers, simple hit the “Preview” button. You will get redirected to a the messenger to get a preview of how the menu item will look like before you save the item. ***Congratulations your campaign is set up! 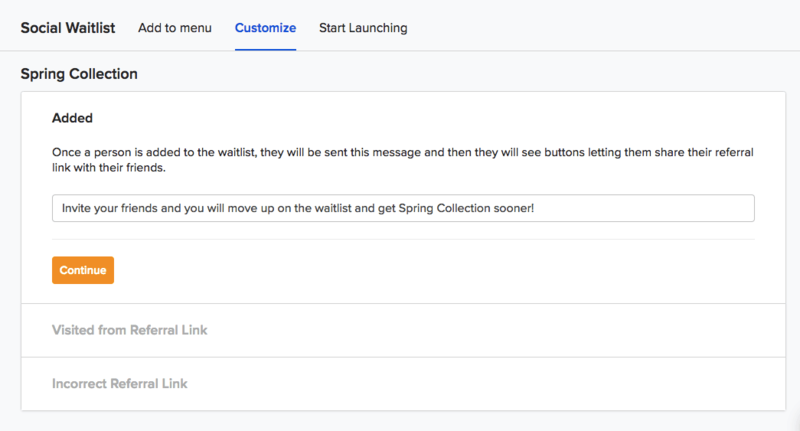 Once your campaign is launched, next you would want to notify everyone the waitlist that the big day is here. 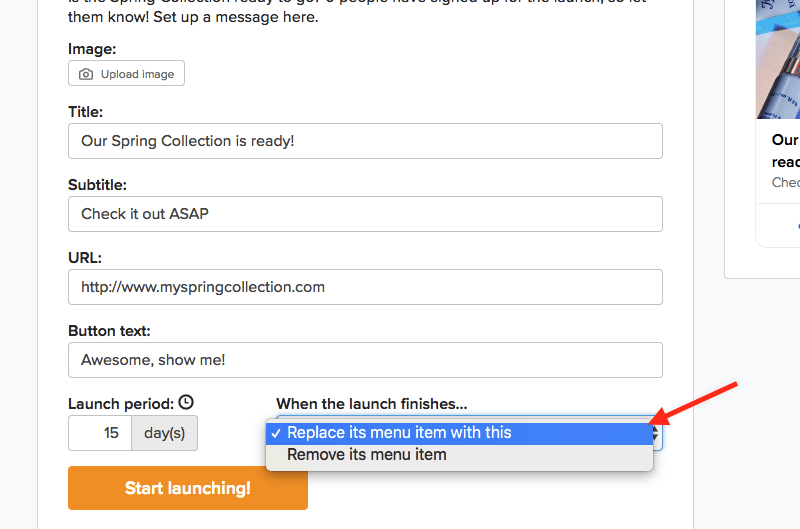 In this step you choose how the announcement that your new product is live will look. You need to add image, title, subtitle and URL to the product. 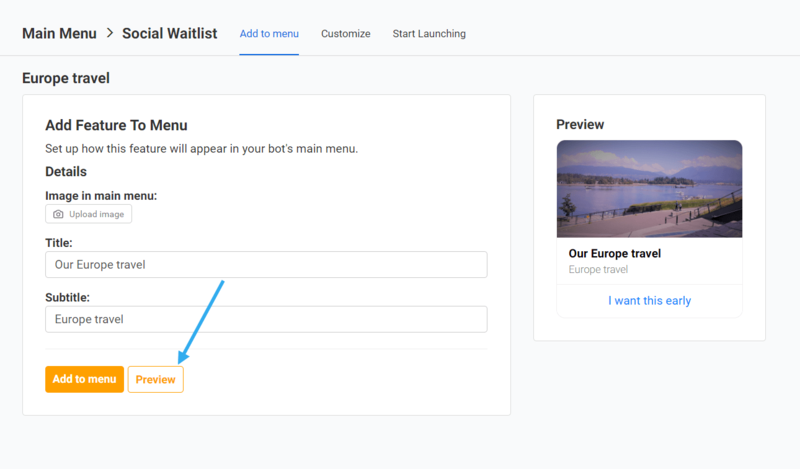 You should also set the launch period, which is the number of days for you wish that menu item to be in your main menu after launch. 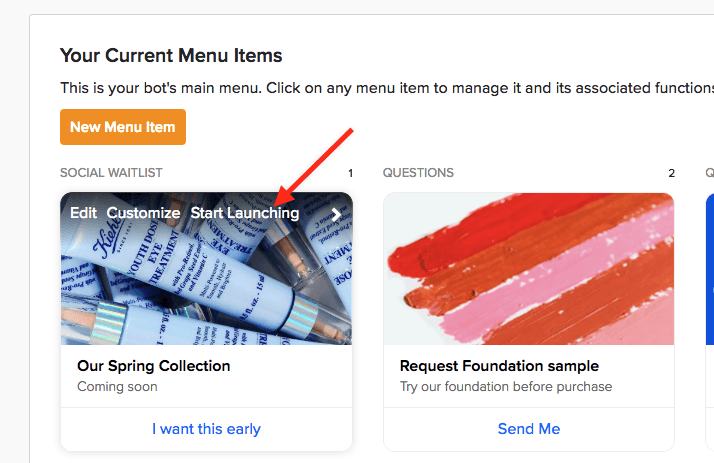 After Launching all users who opted in to your social waiting list will receive the notification that your product is now ready and this item will be added to the main menu.